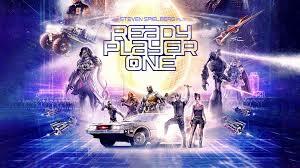 Both book and movie have the same basic plot–set in the miserable 2040s, Wade Watts is a teenage orphan who wishes for a life outside the stacked trailer parks. In fact, most people are unhappy with the real world and choose to escape to the virtual world known as OASIS. Created by shy genius James Halliday, the OASIS survives after his recent death but he left several clues (“easter eggs”) for one person to discover and inherit his entire fortune and corporation. Wade (who goes by the moniker Parzival in OASIS) along with his crush Art3mis, best friend Aech and pals Daito and Sho is determined to find every easter egg in the hunt and his vast knowledge of both popular and obscure pop culture trivia sends him on an amazing journey. Which version did the Margo like better? Check out the link at the bottom of the page to find out. We are sponsored by Penguin Books in this ep! Marie Lu follows up her New York Times bestseller WARCROSS with WILDCARD which follows the story of Emika Chen who just made it out of the Warcross Championships alive and is now seeking to end Hideo’s plan for good. Emika joins the Phoenix Riders on the streets of Tokyo and there is a bounty on her head. How far will she go to ultimately take down the man she loves? Lu (who is also the author of the mega-hit “Legends” series) draws from her personal experience in the video game industry where she is creating a world that is revolved around a game that takes over the world. This is a thriller that serves as a satisfying ending to this unique tale. It’s available in hardcover, Kindle, and as an audiobook. The casting of the movie including Tye Sheridan, Olivia Cooke, Lena Waithe, Ben Mendelsohn, Mark Rylance and Simon Pegg.